Customizing your survey is a great way to get respondents more familiar with your organization’s logo, to increase your survey response rate, and to stand out from the crowd. Add your logo – Our Premium account holders have the ability to upload their own logo and adding it to surveys for a more personal flair. 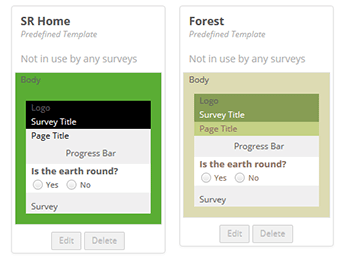 Choose a survey design theme – We currently offer all account holders several themes to choose from that change the look and feel of your survey. From plain to colorful, and we’re adding more all the time. Our Premium account customers can even create their own themes. 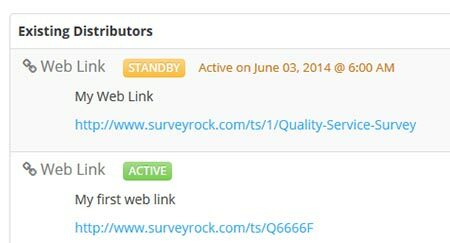 Clicking on the Preview button will immediately show you exactly how your survey will look to your respondents. Custom Survey URL – A normal SurveyRock survey link looks something like this: www.surveyrock.com/ts/P5GX3Z. If you’ve upgraded to our Premium plan, you can give your survey more of a professional touch and customize the link to something everyone can understand better like: www.surveyrock.com/ts/6036/Customer-Feedback. 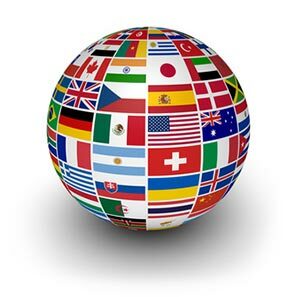 Support for all languages – SurveyRock is currently in use in almost 200 countries throughout the world. We have designed our survey tool so you can use any language you want in order for your customers to feel welcome. Just enter your survey in your audience’s language; if you can type it we can support it. Survey Email Invitation –Customizing your survey invitations email to say who you are and why you are asking for input not only adds a more personalized feel for the survey as a whole, but it tends to increase the response rate. PowerPoint Survey Results Presentation – You can create custom charts from your survey results and create a PowerPoint presentation, which you can further customize by adding text on each slide (survey title on the introduction slide, as well as the survey question displayed above each chart).